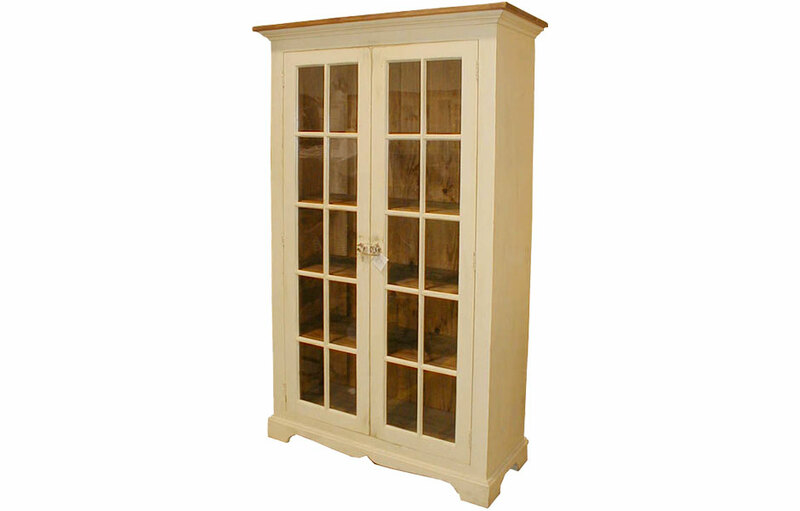 The Glass Door Bookcase offers tall cabinet storage with grand French country style. The bookcase has glass paned doors which run the full length of the cupboard. Inside, four fixed shelves are masked behind the door mullions, so you never see their edges. Each shelf is 11" high. The four shelves each have plate grooves for displaying plates and china. The base molding has a scrolled molding and open foot on the sides. 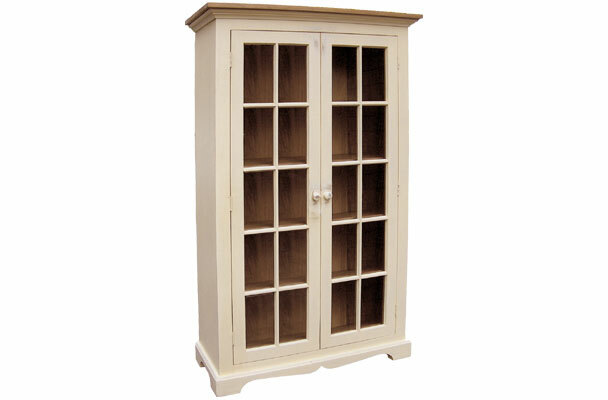 The Basque Glass Door Bookcase offers tall storage paired with grand French country style. The glass door cabinet proudly showcases books, collections, and dishes. 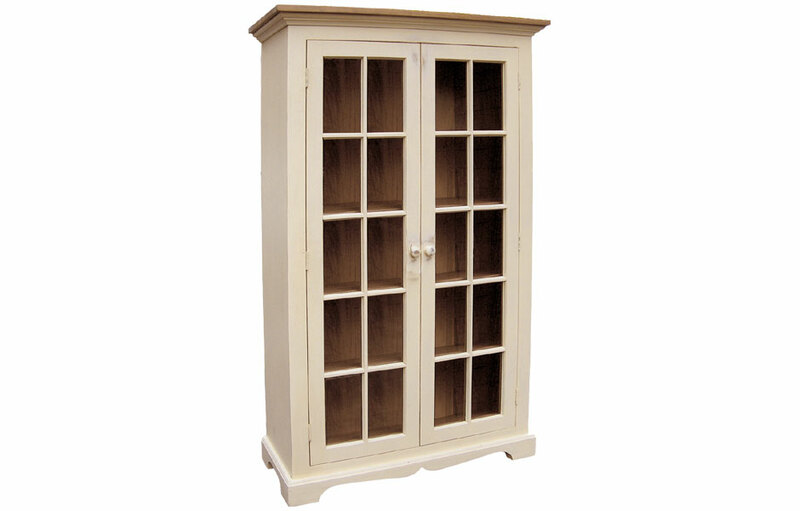 The stately storage cupboard is perfect for a living, den, bedroom, kitchen or office area. The bookcase features ten glass panes on the full length doors. The doors open wide to four fixed height shelves large enough to store collections and dishes. The four shelves each have plate grooves in the back of the shelf for displaying plates and china. Each shelf is 11" high, and is masked when closed by the door mullions. The bottom shelf is set higher to accommodate large books and dishes. The transparent quality of the the glass doors gives the cabinet an elegance not found in open cupboards. The glass doors keep dishes, books and collections clean and safe. The tall cabinet will become a focal point in room with its crown molding, scrolled base molding and tongue and groove backing. The Basque Glass Door Bookcase is made of solid wood. The cabinet is then handfinished for a one-of-a-kind appearance. The cabinet can be finished in one solid color or painted/stained in a traditional French country two-tone finish. The glass door cabinet complements French Country, English Cottage, Farmhouse, Rustic, Transitional and Traditional style decors.